ALL LEVELS: AFRICAN DANCE & DRUMMING class * Held the FIRST Thursday of each month with THEO MARTEY, Director of the Akwaaba Ensemble. LIVE DRUMMER'S to Accompany this exhilarating and fun expression of movement. 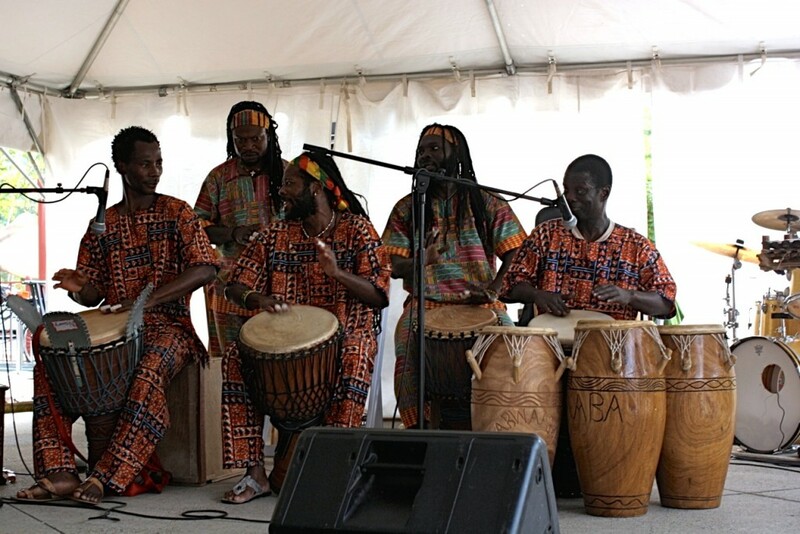 Theo Martey and the Akwaaba Ensemble will performance rhythms, dances and songs from Ghana and Guinea for a school assembly at the Hillsboro-Deering Elementary School in Hillsboro New Hampshire during their culture day week. Theo Martey will lead a two day Artist in Residency drumming, dance and singing program at John Stark Regional High School for the sophomore students to be expose to a different culture and tradition during the world culture class on April 18th- 19th 2019. Theo will share a story of his childhood growing up in Ghana, the culture, music, school system and how he started his drumming journey.